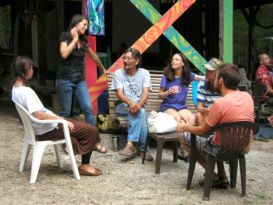 But first, i want to define intentional communities and the communities movement, in this writing, intentional communities is used to refer to “groups of people who live together or share common facilities and who regularly associate with each other on the basis of explicit common values,” (definition from the FIC values page) these often look like housing co-ops and communes. The communities movement is the social and economic movement towards co-operation in the stewardship of resources guided by explicit common values. 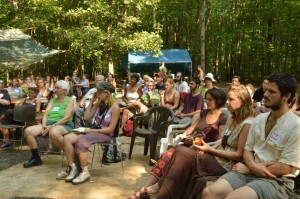 These phrases are used to refer to communities that self identify as Communities as such and usually have some knowledge about the larger communities movement, though there are many other communities that do not formally identify as a part of the communities movement but have kindred structures, Wildseed community in New York is an example. First and foremost the Communities Conference is an opportunity for people living in, or interested in living in, communities to come together to meet, co-educate, and for the people who already know each other to gather in reunion. 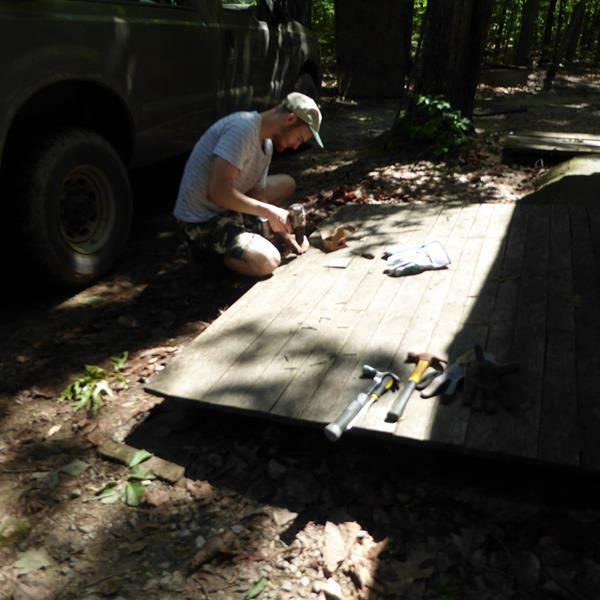 People camp, or stay at a neighboring facility, and all meals are provided. 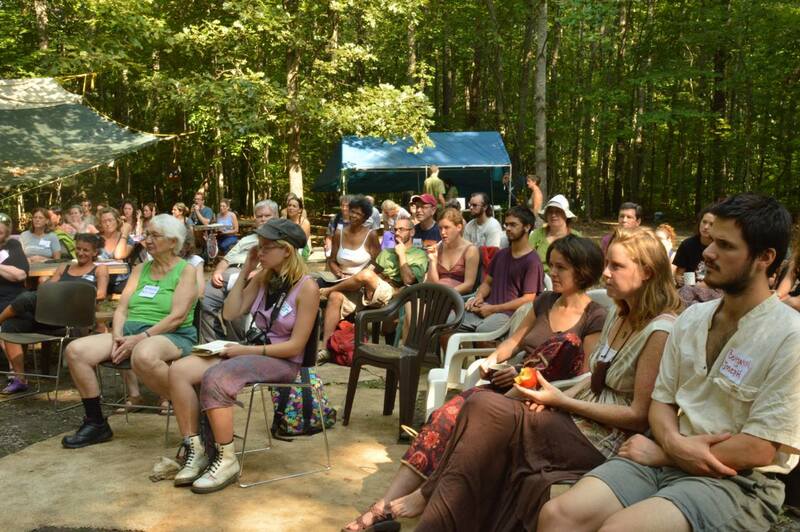 There are workshops which are relevant and useful to intentional communities. Last year the theme was inclusivity and diversity, and we had 8 workshops on the theme, most led or co-led by POC and folks from other marginalized groups. This year we’re carrying that theme forward, as well as bringing in content on cooperative business and sustainable building. In a segment in the program called Meet the Communities, the communities who are present share about themselves to the group, creating space for them to learn about one another. Sky says, “knowing each other and knowing what’s out there helps to strengthening our movement, especially when we rely so much on word of mouth and there is little to no frame of reference for what living in community is like for huge swaths of the population.” Sky also reflects that there are more and more people coming into communities and the conference these days by doing things like internet searching for “are there any more 60s communes?” and after discovering the conference attend without previous experience, or discover only one community on the internet and move directly to it. In this way the Communities Conference is a place in which people who know of only one community can come into knowing the larger networks. who is best served by this event? Sky says, “People from new and struggling communities can benefit from what they can learn from other ‘veteran’ communities, and have fun. If they’re new and struggling things are probably stressful at home for them, and there is opportunity to have fun with people who you know get the struggles you are having and are coming from a similar experience.” He gives me a knowing look here. There is also a contingent of people who come year after year and have been coming for a long time, the conference is like a family reunion for them, and Sky, and he believes that from a movement building perspective that shouldn’t be underestimated. what is the culture like at the conference? Sky reflects and says “What does a future look like where all of these social and economic movements are successful? 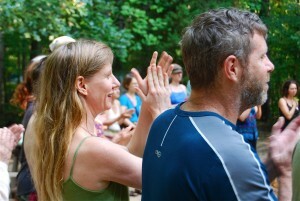 is a question that intentional communities attempt to answer,” or extrapolate on. how does the communities conference effect twin oaks? what’s your favorite part of the communities conference? From what i gathered talking with Sky it seems as though there are opportunities to learn more about communities currently in existence, meet people who may have similar interests and desired living paths, and camp in the woods in Virginia with people working towards more interpersonal and infrastructural organizational harmony and joy.